Today is my VERY LAST post as “Simple Organized Living”. It also just so happens to be my 999th blog post — who knew I had so much to say. The new logo and URL should be in place later today (yay! )… you can check back tonight if you’d like! All the current SimpleOrganizedLiving.com URLs should automatically redirect to the new AndreaDekker.com URLs, so don’t worry about any links breaking. If they do, it will be temporary (hopefully!) and I’m sure my tech guys will fix any issues ASAP — have I mentioned how awesome they are! It’s going to be a busy and somewhat stressful weekend, but if all goes as planned, I’ll be back here on Monday morning to welcome you to the NEW AndreaDekker.com! To say I’m excited is an understatement — after all, I’ve been envisioning this change for almost a year now. 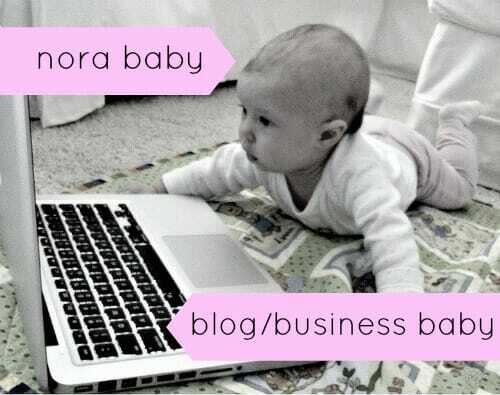 But my business is no longer a baby (neither is Nora, I suppose) — it’s more like a preschooler now, which means it’s time to move forward. I suppose it’s like moving from a home you love to a new house that you know you’ll love too. Even though you can’t wait to move into your new place, you still shed a few tears as you lock up the doors and pull out of the driveway. Yes, you know the new house will be better, and it IS really exciting, but you just feel so comfortable in your old house… you know your way around, even in the dark… you have so many memories… and everyone knows where to find you. On top of packing and moving, unpacking and putting away, you must now transfer your utility bills, update your information EVERYWHERE, and send out the new address to ALL your family and friends. It’s a pain. It’s time-consuming. But in the end, it’s worth it! My hope is that the website switch-a-roo goes smoothly — however, I’m not naive. I know there will most likely be hiccups and other issues that need to be worked out… so if you see blank pages, error messages, broken links, or any other craziness this weekend, you’ll know why. Thanks so much for sticking with me through this time of transition. I appreciate your support, your emails, your comments, and your words of encouragement more than you know. Visit AndreaDekker.com directly — if all else fails, simply go to AndreaDekker.com to see if the site has switched over yet. 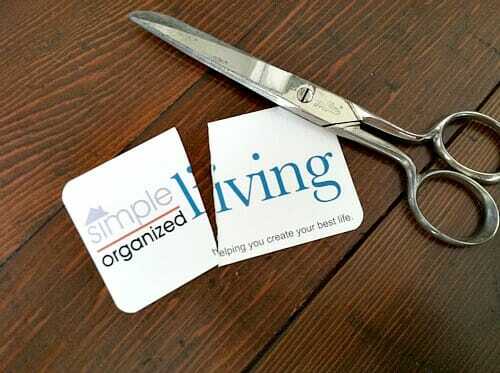 If it has not, you will be automatically redirected back to SimpleOrganizedLiving.com. Good-bye… for a few days. I’m SO excited to see you ALL back here on Monday (with my #1000 post) and welcome you to the brand NEW AndreaDekker.com! 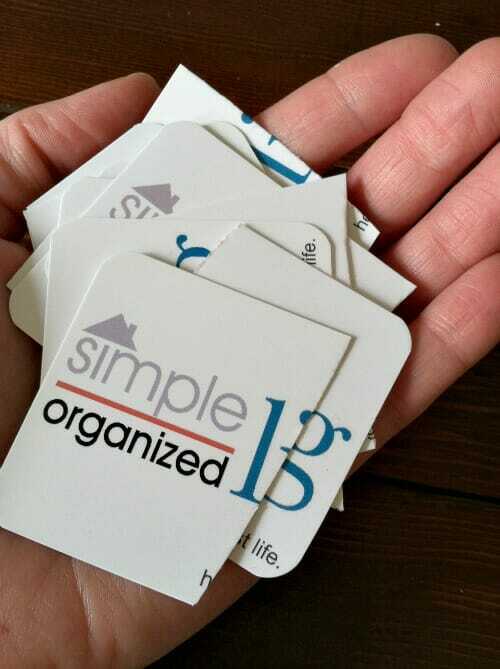 So-long Simple Organized Living — you were good to me! Simple living is easier, more relaxed and helps awareness. Good luck on the transition and hope all goes well, smooth as silk! Andrea, I don’t comment often, but I try to peek in every day. My browser hs already updated the address, and I am looking forward to our continued “relationship”! Will we still be able to get to your old posts? There are things I periodically reference and would miss being able to get to them. It’s a good weekend to work…. rain, rain, clouds, rain, cold, rain. I look forward to more great things coming from you. Hi Andrea! I haven’t commented for a while, but I’m still following. Sniffles and congratulations for saying good-bye (I loved the name Simple Organized Living too!) and welcoming in the new. Your new logo looks great, and the tag line is wonderful. You have a great name, so it sounds great as a title too. I’ll continue following and try to pop in once-in-a-while. I am trying, like everyone else, to simplify and have life run more smoothly. Sometimes that means less blog browsing and commenting, but I still make some time to do that because I love it. Best wishes to you! You are made of awesome! Everything is going to be great, I just know it. I adore your new logo! It’s fresh, modern and classic all in one! Change is good. Keeps us on our toes, and Nora is most definitely still a baby! 🙁 I have followed you for SO long! I was shocked how sad I was to see your card sliced. I am excited for your new blog! My address bar already has you updated to andresdekker.com! I made the switch from http://www.organize365.net to http://www.organize365.com in January and such a a little change DID cause a LOT of work! BUT the urls do forward and it will be SO wonderful when your done! I can’t wait to read post #1000! So happy for you Andrea! But I must say, I felt some emotions knowing the end of the blog as it was! Silly, I know, but I think I put myself in the other person’s shoes way too much! Anyway, lots of well wishes on your new adventure!! Hugs! See you Monday!!!! Best of luck for the big change over, see you on Monday! See you Monday morning, Andrea. I’ll make the smoothies. Yay for change!! I think your new website will set you apart from the “crowd” and create new opportunities for you. Hope your weekend is full of sunshine among the “stress” of implementing changes. Good for you Andrea! It’s going to be gorgeous I bet. So bitter sweet. And yes, Nora is STILL a baby. GOOD LUCK and CONGRATS too! I hope it goes even better than you can imagine! Can’t wait to see the new you on Monday! Have a spectacular weekend! Congratulations and best of luck on the big change. I hope it all goes well and look forward to the “new YOU!” Like everything, it will be GREAT! Good luck!